I have been eating a lot of shrimp lately so I am always on the look out for new recipes to try. I was perusing a couple and came up with this dish that contains some of my Mediterranean favorites, sundried tomatoes and feta cheese! 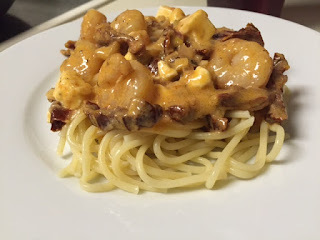 Easy enough to make on a weeknight, it's great to try this spin on a pasta and shrimp dish. Cook pasta according to package directions. Meanwhile, toss shrimp with olive oil and salt and pepper. Saute over medium heat for 5 minutes or until shrimp is cooked through. Remove shrimp and add shallots and garlic. Let cook 1 minute, then add butter. Saute 1 more minute then add tomato paste and saute a few more minutes. Add flour and stir well. Cook for 2 minutes then add broth. Add lemon juice and sundried tomatoes and mix well. Reduce heat to low and stir in cream until completely combined. Remove from heat and mix well with pasta. 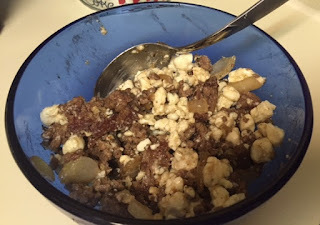 Plate and top with crumbled feta. This. Is. DELICIOUS! Warning, this is not diet friendly and may have a bazillion calories. But when we make room for dessert, we definitely make room. This bread pudding is amazing. 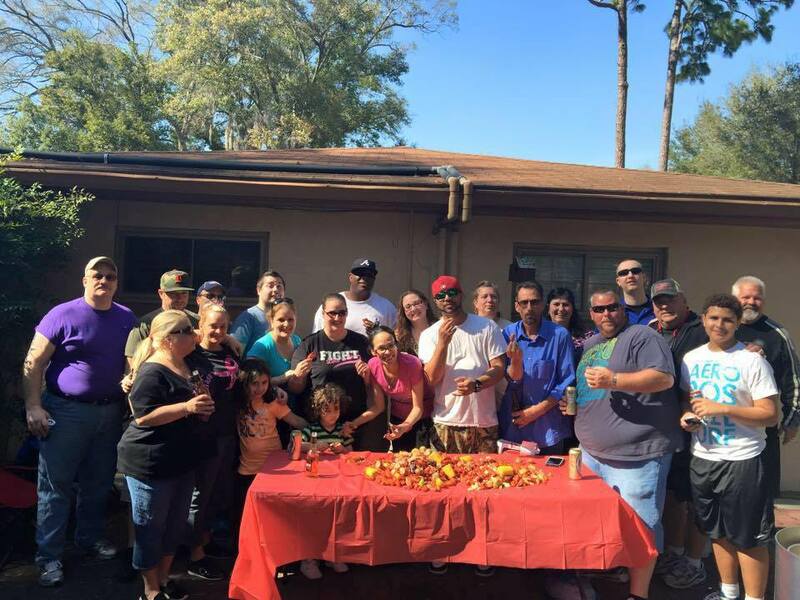 It is so easy, and can easily be doubled for a bigger group. Try it, try it, try it! Mix together eggs, cream, milk, cinnamon, vanilla, and salt. Beat together well. 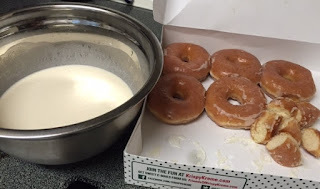 Cut each donut in to 6 pieces. 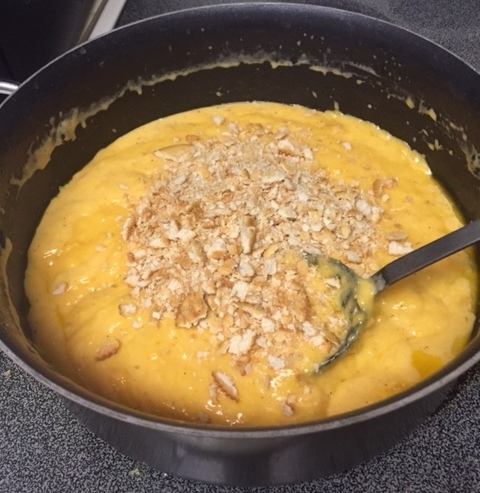 Put pieces in custard, making sure each piece gets soaked with custard. 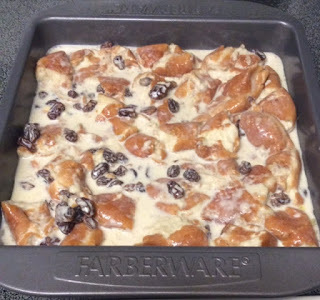 Stir in raisins and let sit for 10 minutes. Grease a 9X9 baking dish with nonstick spray. 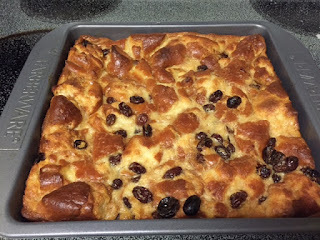 Pour in bread pudding. Bake for 45 minutes. Eat plain, or serve with vanilla ice cream or whipped cream or chocolate sauce. For my fiance's birthday a month agoI wanted to make a cake, and not just a normal birthday cake. 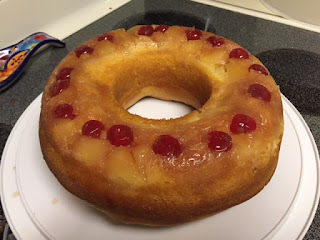 I decided on a pineapple upside down cake as I know he loves that type. I looked for a recipe that I could make in a bundt pan as I just love a good bundt cake. And here it is! Preheat oven to 350. 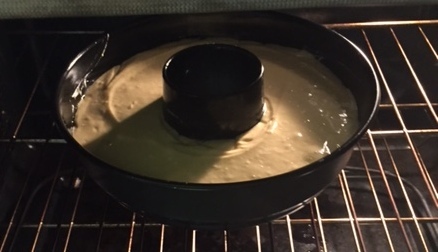 Grease bundt pan liberally with cooking spray. Mix together butter and brown sugar and pour in pan. Place cherries on top. Spread pineapple carefully on top. Mix together cake mix, sour cream, eggs, oil, and extracts. Beat well until batter is well combined and light and fluffy. 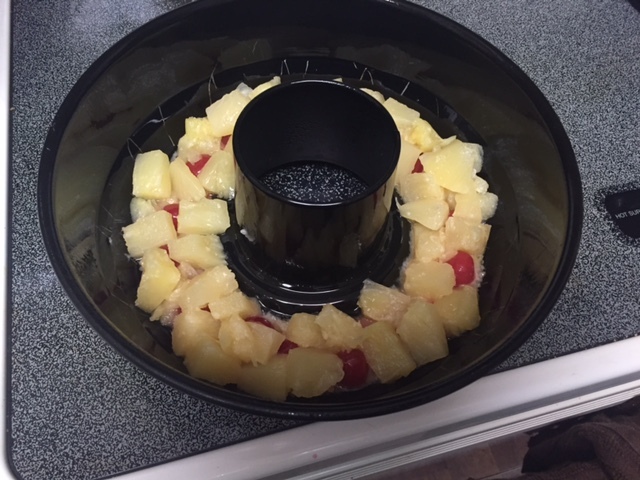 Carefully spread on top of pineapple layer. Bake for 30 minutes. I have always enjoyed the Barbacoa (a shredded beef) from Chipotle. I have seen several recipes on the internet of how to make it, but this past week I just took some stew meat, made my own blend of spices, and I kid you not, it tasted almost EXACTLY like Chipotle's. 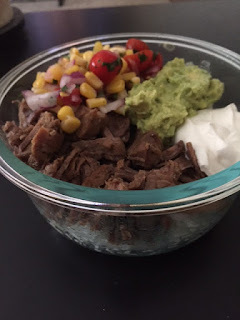 So I am sharing my own special copycat recipe, just in time for your Cinco De Mayo celebration at the end of the week. 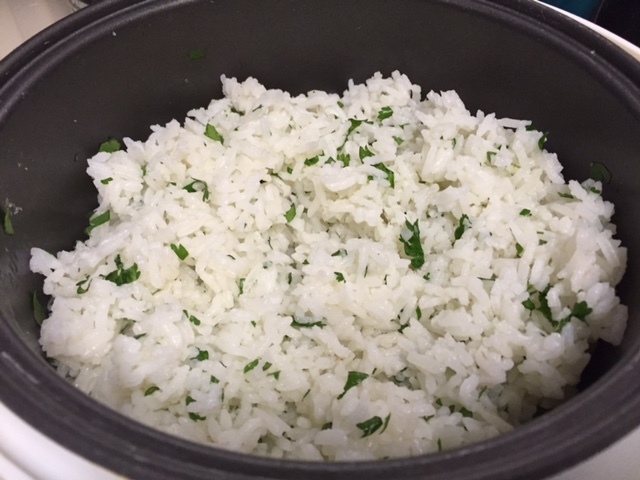 Also, because I LOVE my readers, I am including a BONUS RECIPE for a copycat of Chipotle's cilantro lime rice, Enjoy! In a slow cooker mix broth, water, and all spices. Stir in beef. Cook on high for four hours or low for eight hours. 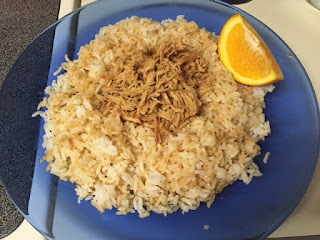 Serve with rice recipe below. ***Note, I cook my rice in a rice cooker. But you can also convert this to stovetop by cooking rice and bay leaf in water (after water is brought to a boil) over low for 25 minutes. Cook rice in water with bay leaf in your preferred method of cooking rice. Remove bay leaf. Stir in lemon and lime juices, plus cilantro. Season with salt to taste. Enjoy! 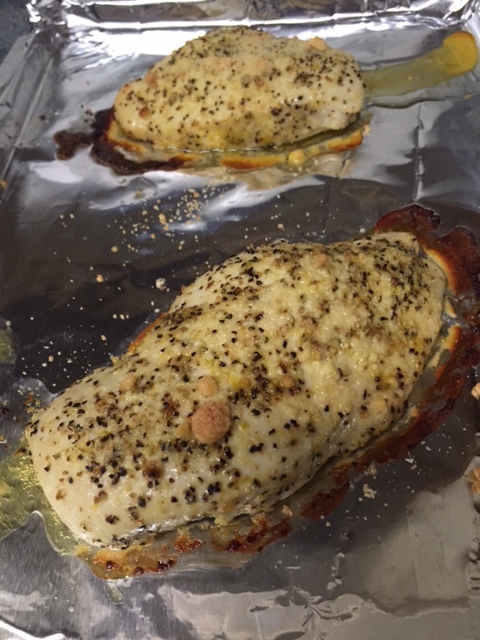 Like a lot of people, I am always looking for new ways to prepare my boneless skinless chicken breasts for dinner. I was perusing Pinterest as I do, and came across a recipe I had pinned awhile ago for garlic lime chicken. 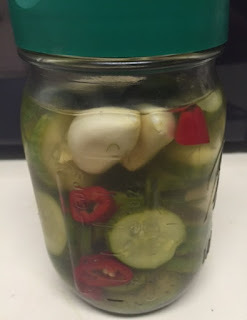 I had all the ingredients on hand except the jalapeno. It was quick and cheap to grab one at the store. 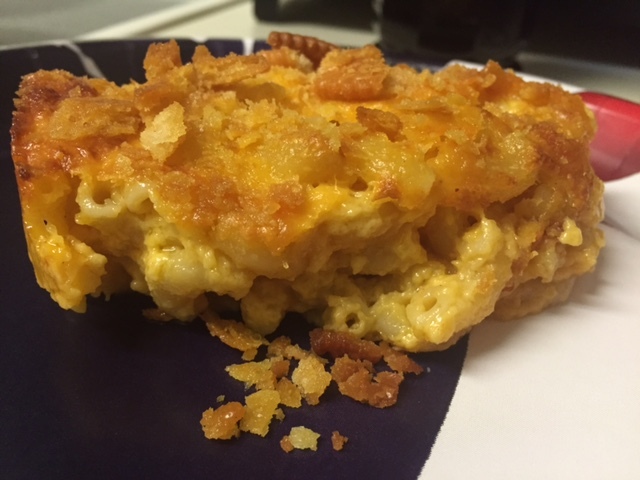 You can find the original Pin HERE and the original recipe HERE. The only tweaks I would make to the recipe is next time I would add the whole jalapeno instead of just half and I would add the juice and zest of another lime. I have included these changes in the recipe below. Heat oil in skillet over medium. Season chicken with salt, pepper, and Mrs. Dash on both sides. Cook chicken 5 minutes per side then remove from skillet. Add onions, garlic and jalapeno, saute for a couple of minutes. Add chicken broth, lime zest, lime juice, cilantro, and paprika. Stir well then add chicken back into pan. Simmer chicken for 8 minutes in sauce, stirring occasionally. Add in cream, and additional salt and pepper to taste. Simmer another minute or two then serve. I served mine with rice. We made room for dessert this week with this super simple take on a cinnamon roll. You can have them for breakfast, dessert, or a snack! I found the original recipe on Pinterest, check out the Pin HERE. 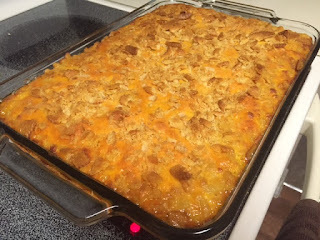 I modified the recipe to only make 4 (we are trying to practice moderation around our house), but you can easily double the recipe. Preheat oven to 375. Mix together butter, cinnamon, and sugar. Unroll and separate crescents. Spread 1/4 of the mixture over each roll. Roll up and bake for 10-15 minutes. If you'd like and easy frosting, mix together 1/4 powdered sugar with 1 tbs milk and 1 tsp vanilla. Drizzle over top when crescents have cooled for a few minutes. Enjoy! One of my goals for 2016 was to try a new food, and I picked Harissa. It is a spicy Moroccan pepper paste. I got mine at Whole Foods, the ONLY place I could find it in the metro Orlando area. It is delicious! 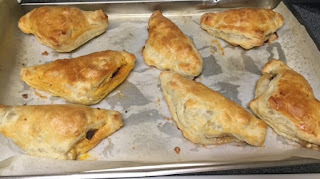 If you recall, I also used it in one of the fillings for my beef hand pies. 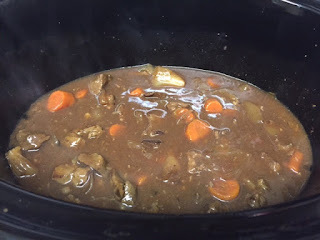 I decided to give it another application by using it in the stew I found on Pinterest. You can find the original Pin HERE and the original recipe HERE. 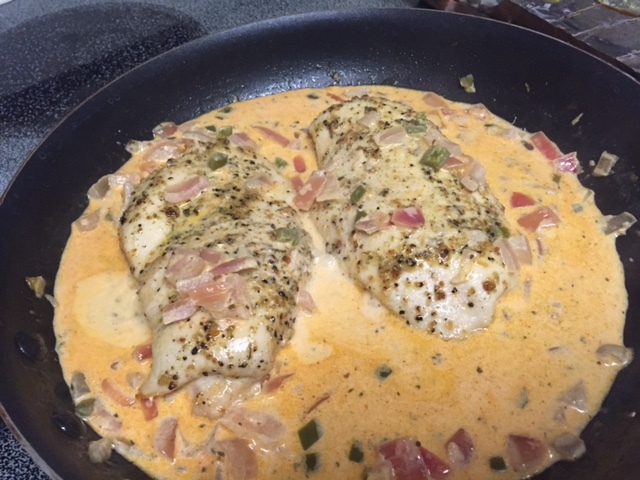 The original recipe uses cod instead of shrimp, but really you can easily adapt it to whatever protein you prefer. I like shellfish better than regular fish, and I had some on hand already. So shrimp it was. 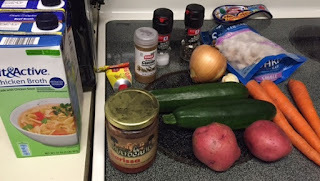 I also left out the turnips because, well, I have never tried them before and figured there was enough veggies. 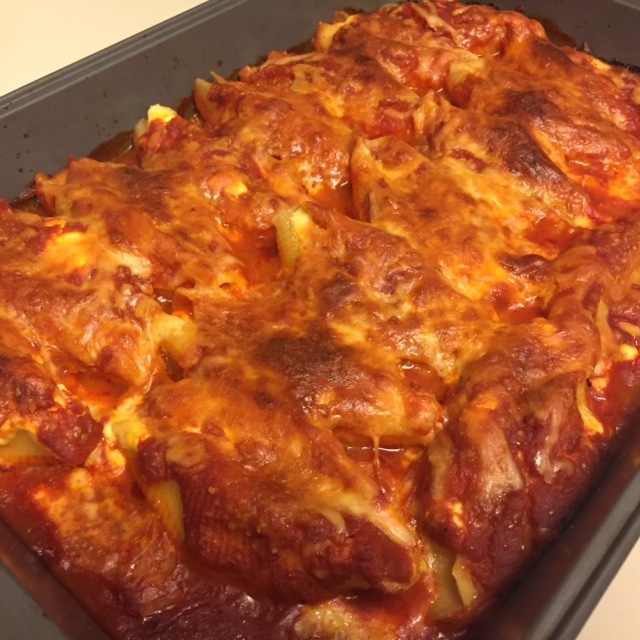 This is a very light and healthy dish that makes for a fairly quick weeknight dinner. In a soup pot, heat 2 tbs olive oil and then saute garlic and onions for 5 minutes. Add in tomato paste and let cook for a minute or two. Add in cumin, salt, pepper, and harissa. Stir for one minute. Put in carrots and potatoes and saute for two minutes. Add chicken broth, bring to a boil, and then reduce to a simmer. Cook 10 minutes then add in zucchini. Cook another 5 minutes then add in shrimp. Let simmer for 10 more minutes then serve. 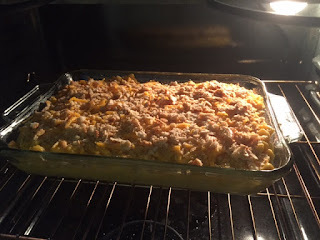 A post where you get TWO recipes at one time? Yup, it's happening! 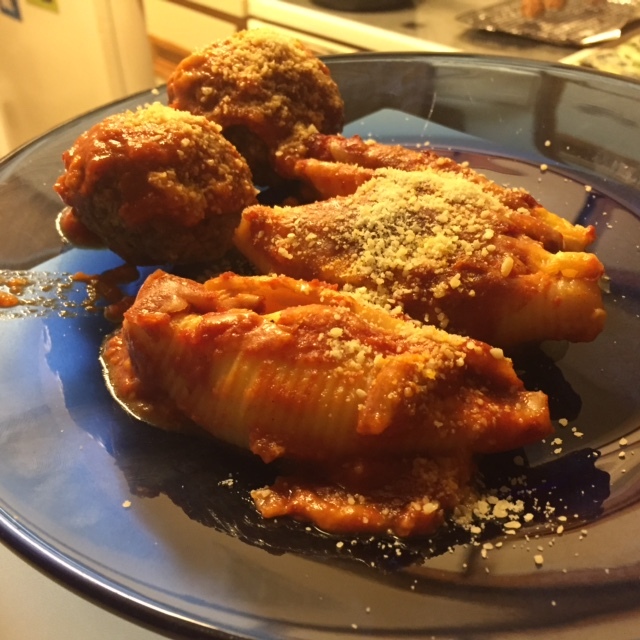 I was reviewing all my recipes to make that I had pinned on Pinterest, and I found two that complimented each other to make a great dinner. So one night, I made them both! 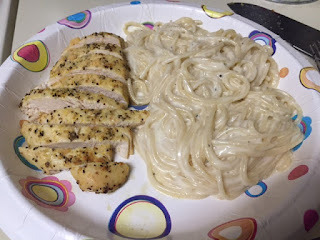 The tangy lemon pepper chicken breaks up the creaminess and richness of the pasta. This chicken is simple, and great for any dinner or lunch. You don't have to serve it with pasta. It would be great on a salad, with rice, or whatever side you want to serve it with. You can find the original pin for the chicken HERE and the original pin for the pasta HERE. 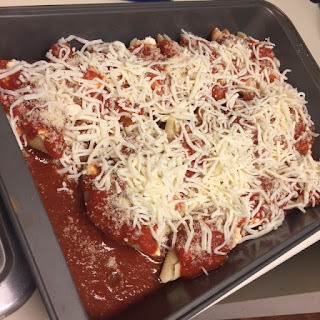 Place all ingredients except parmesan in a ziploc bag or airtight container and mix well. Marinate chicken for 30 minutes. Place chicken on foil-lined backing sheet and sprinkle with parmesan. Bake for 30-45 minutes. 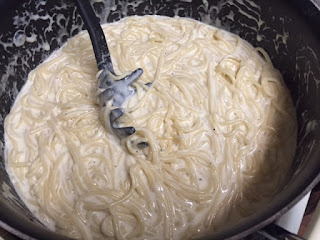 Cook pasta in mix of chicken broth and water until pasta is al dente. Reserve 1 cup of the cooking liquid. Drain pasta. Saute garlic in olive oil and butter for 1 minute. Add in pasta, pasta water, and heavy cream. Bring to a boil. Reduce to a simmer and stir in cheese. Cook for a couple of minutes so sauce can thicken. Who doesn't love a hand pie! 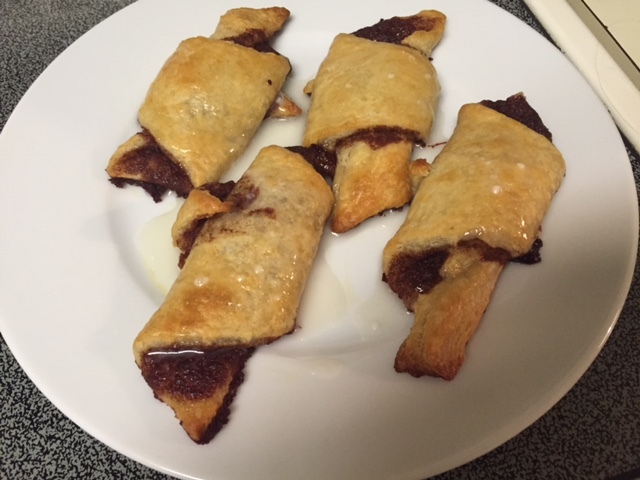 Delicious, easy, convenient, and does not take a lot of time if you use store bought puff pastry. It makes a nice lunch, dinner or snack. 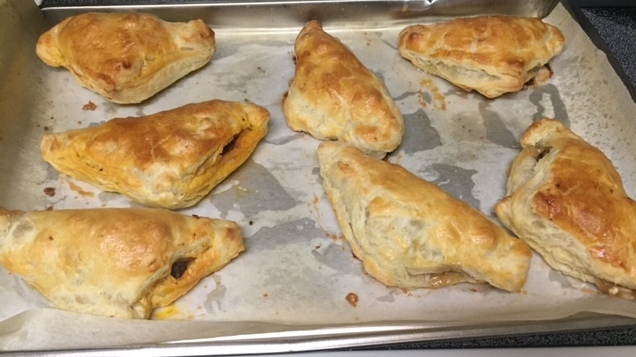 I decided to create 2 different types of beef hand pies since I had some puff pastry stocked up due to it being on sale (which is rare!). One beef filling is SPICY! The other one is rich and kind of creamy, full of umami. 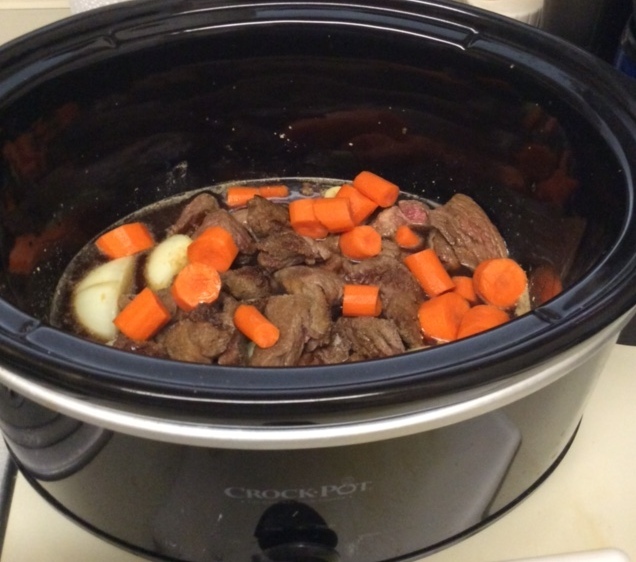 The best thing about this recipe is that you can adjust to flavor your beef any way you like. Try taco seasoning, maybe a bit of pasta sauce and mozzarella to make and Italian version... Whatever you like! You could also go completely vegetarian, or do a chicken filling such as chicken, broccoli, and cheese. Of course I do have to say, I was more than pleasantly surprised at how delicious these two versions are, so give them a try! Brown ground beef with diced onion. Drain, then add in minced garlic and saute for a couple of minutes. Stir in beef broth and cook 1 more minute. 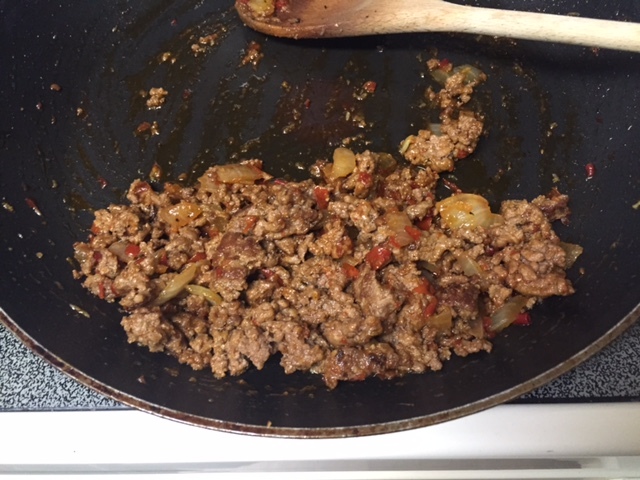 Separate beef into two bowls (or add half into another pan). In one pan/bowl stir in Harissa and in the other add Worcestershire sauce and crumbled blue cheese. Let fillings cool for a few minutes (this is a good time to freeze dough for 5 minutes if needed). Cut each sheet of puff pastry into 4 squares. 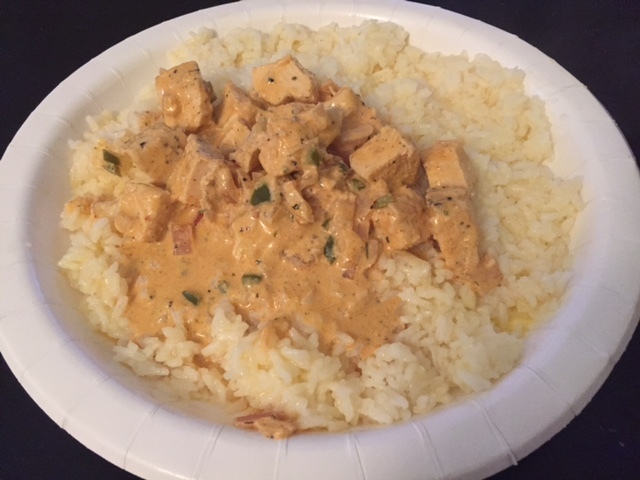 Put 1/4 of spicy mixture in the middle of a square. Repeat 3 more times. Put a 1/4 of blue cheese mix on one of the remaining 4 squares. Repeat 3 more times. Fold each square into a triangle shape, and seal edges. Place on a greased baking sheet (I lined my baking sheet w/parchment paper then greased paper). Bake for 15 minutes. 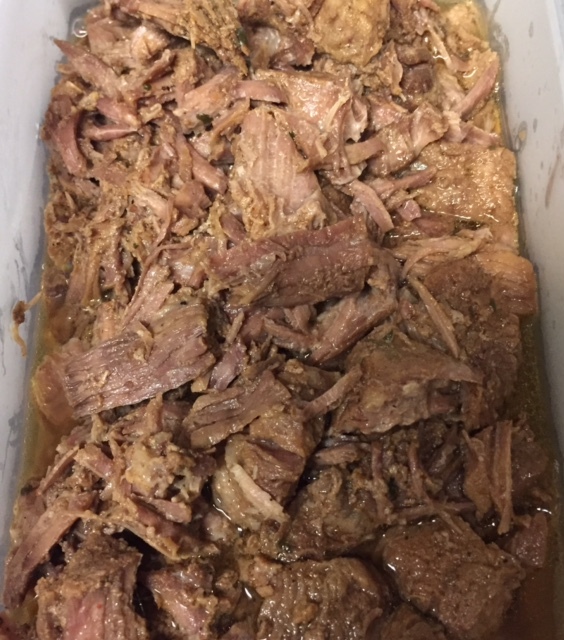 Let cool for at least 10 minutes before serving. Man oh man do I love me some shellfish! Shrimp, scallops, crab, lobster... Yum! 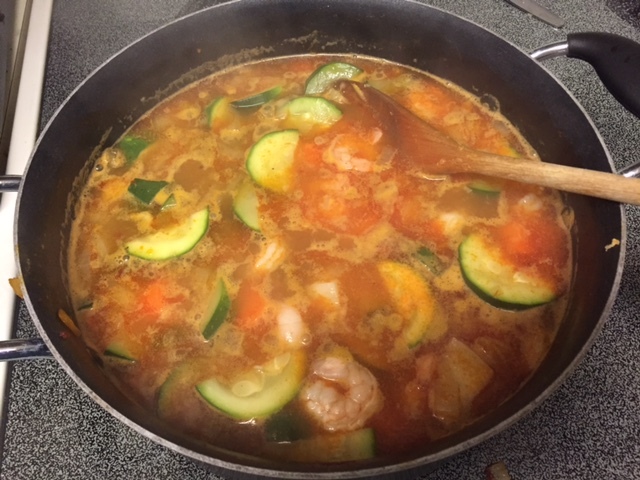 Shrimp has been very reasonably priced lately, and is a high protein, low calorie delight! I had never steamed my own. I usually roast or grill it. But I saw a recipe for steamed shrimp with Old Bay and realized it was so easy and quick that I should be able to do it with no problem! Here's how to make your own. Place beer and water in a pot and bring to a boil. Reduce to a simmer. 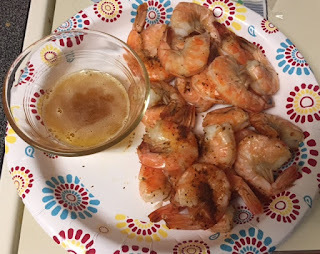 Season shrimp with Old Bay. 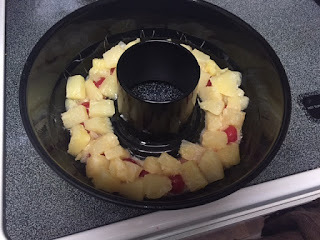 Place in a mesh metal strainer. Place on pot, making sure shrimp doesn't touch water. Place lid on pot. Steam for 5 minutes, or until shrimp is cooked through. Serve with your favorite dipping sauce. Enjoy! Talk about decadent! When we DO make room for dessert, we don't joke around. I came across the recipe for hot fudge stuffed cookies on Pinterest (find original pin HERE). 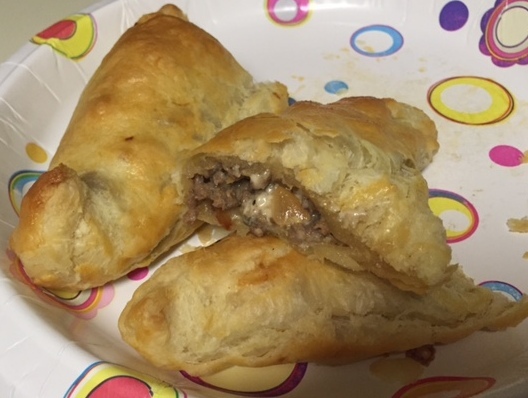 I made them for our New Year's eve party and they were a hit! The original recipe calls for making your own cookie dough. But I decided to adapt the recipe and make it my own by using store bought chocolate chip cookie dough. You also use store bought hot fudge. You get 12 cookies that are an luscious dessert that will satisfy your chocolate craving for sure! Spoon 12 teaspoons of hot fudge on to wax paper lined baking sheet and freeze for 1 hour. Place silicone mat (or parchment paper) on cookie sheet (you'll need 2 cookie sheets total, place 6 cookies on each). Slice cookie dough in to 12 slices. Break each slice in half and roll in to flat disk in your hand. Place a hot fudge drop on one disk, and cover with another disk. Roll until you have a complete ball. Place on baking sheet. Repeat with remaining hot fudge and dough. Bake for 10 minutes. Cookies will not be 100% done but that's ok. Cool on baking sheet for 10 minutes. 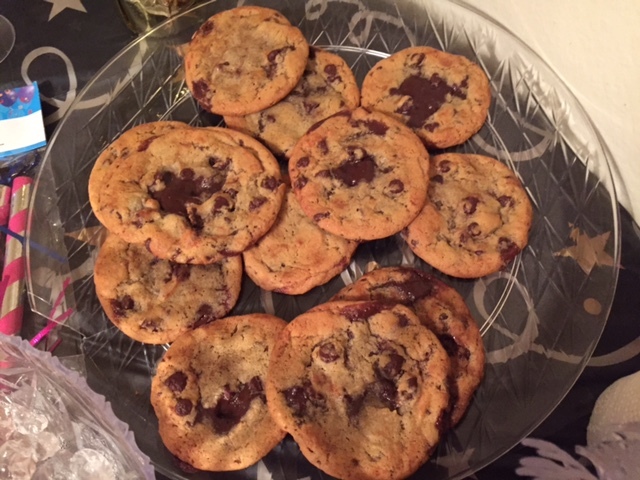 Movie cookies to cooling rack and allow to cool for another 20 minutes before eating. Hummus is a great snack because it is high in protein. But instead of using chickpeas I got the idea from Pinterest to use edamame! While not as high in protein, it is still a good choice. Super delicious, and the edamame have a fresher taste than chickpeas. 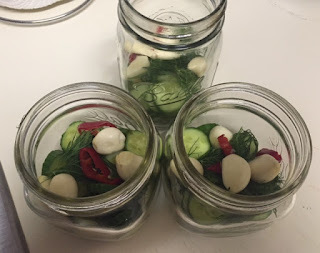 So easy, you can make it quick for a healthy snack or a delicious appetizer! Find the Pin HERE and the original recipe HERE. In a food processor, place garlic and pulse a few times to rough chop. Add in edamame, spices, lemon juice and Tahini. Puree together for a minute. Stream in olive oil and puree for a minute or two until hummus is smooth. Serve with your favorite chips or veggies. I have loved Greek food ever since I can remember. I remember growing up in upstate NY and my favorite restaurant was Symeon's, a delicious Greek place. My mom used to buy their house seasoning and make us chicken with it, and then make her homemade tzatziki. A few years ago I looked up the restaurant online and found I could have the seasoning shipped here to FL. 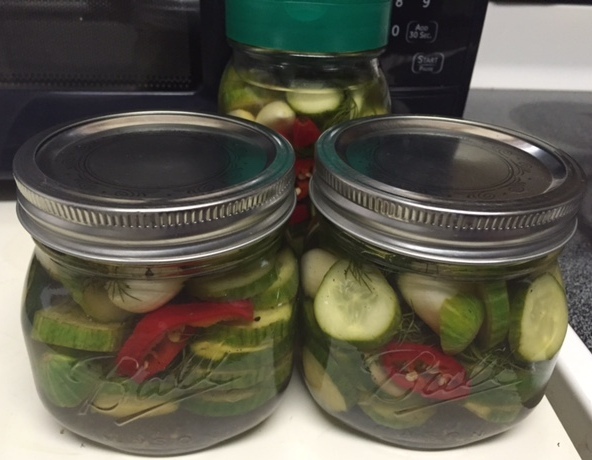 For mother's day I shipped my mom a jar. And I shipped one for myself! Thinking about these food memories, I decided to come up with my own homemade Tzatziki recipe. 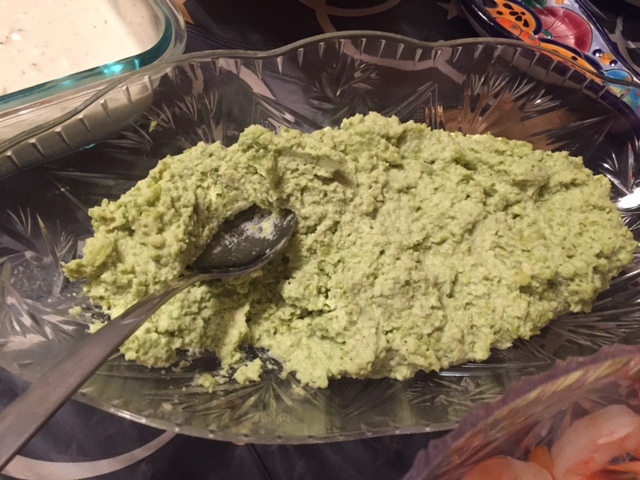 If you don't know what that is, it is a creamy cucumber dip. 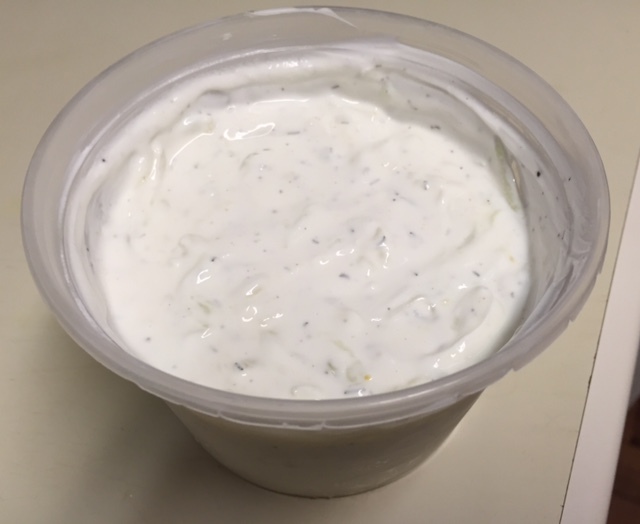 It is delicious as a dip for veggies or pita bread, and it is even more tasty drizzled over Greek seasoned chicken (or pork, or beef, or lamb!). 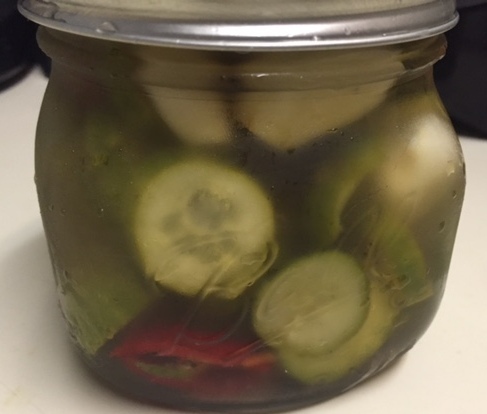 It's healthier than a mayo or sour cream based dip. Easy to make, try it soon! Grate cucumber. Place in cheesecloth (or dish towel) in fine mesh sieve and squeeze out extra moisture. Stir together yogurt and sour cream. Add in minced garlic and and dill. Fold in grated and drained cucumber. Season with salt and pepper. Serve with veggies, pita, chicken, or gyro meat. I adore pot roast. Especially during the winter months, and especially when I can just throw it in the slow cooker and let it go. 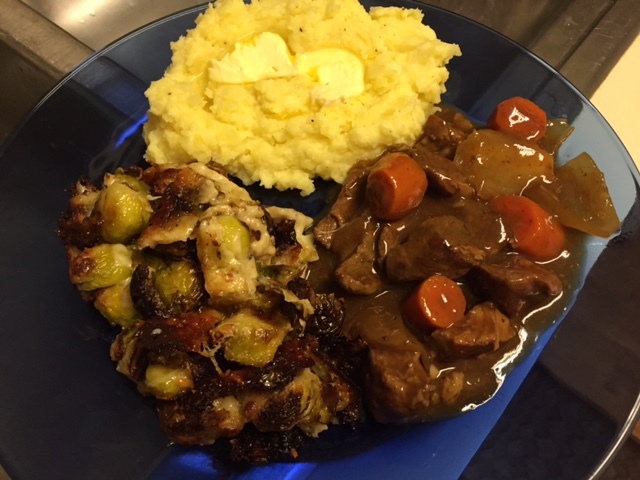 Tender meat in a savory gravy with a few vegetables? Very comforting! 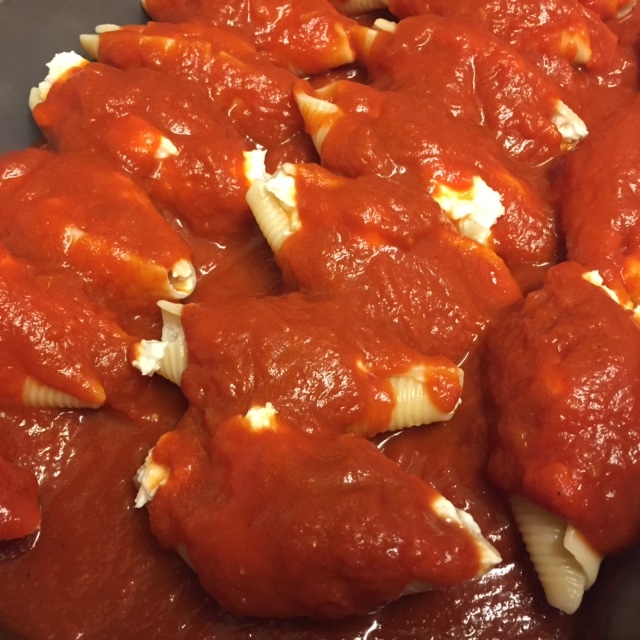 This recipe is easy, can feed a lot of people, and is fairly cost effective. Serve it with mashed potatoes, buttered noodles, or rice. Yum! Preheat a pan on the stovetop over medium high. Quickly sear beef on all sides until browned. (About a minute a side.) 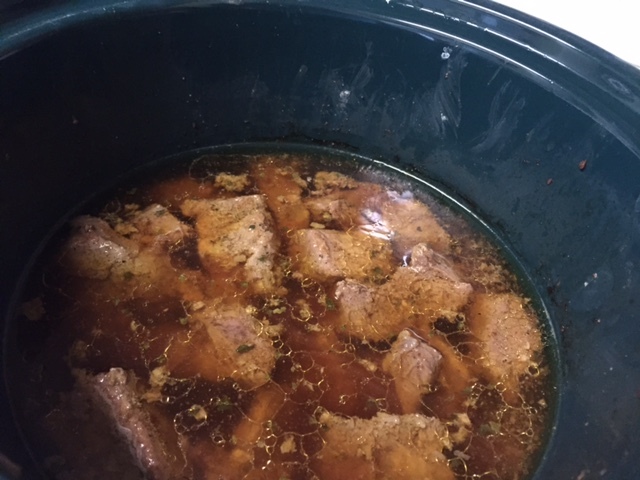 In slow cooker, pour in two cups of broth/stock and mix in 1 gravy packet. Season with a dash of salt, pepper, garlic powder, onion powder, and adobo seasoning. Stir in both bay leaves. Add meat, onions, carrots, and garlic. Give a quick stir and set slow cooker on high for four hours or low for eight hours.When roast is about done, on stove top, mix remaining cup of broth with last gravy packet. 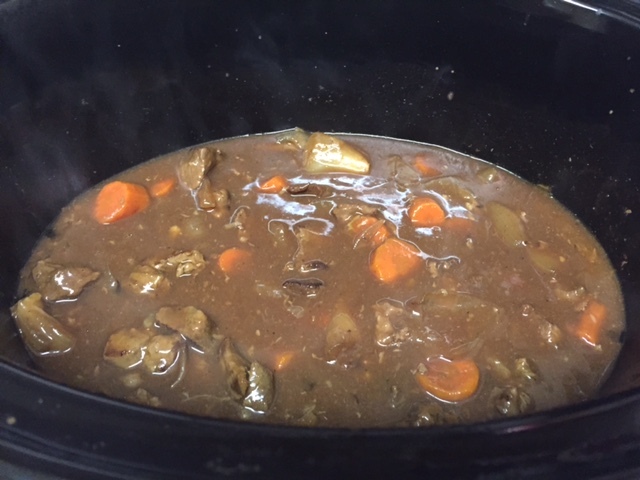 When thick, stir into slow cooker. Enjoy!